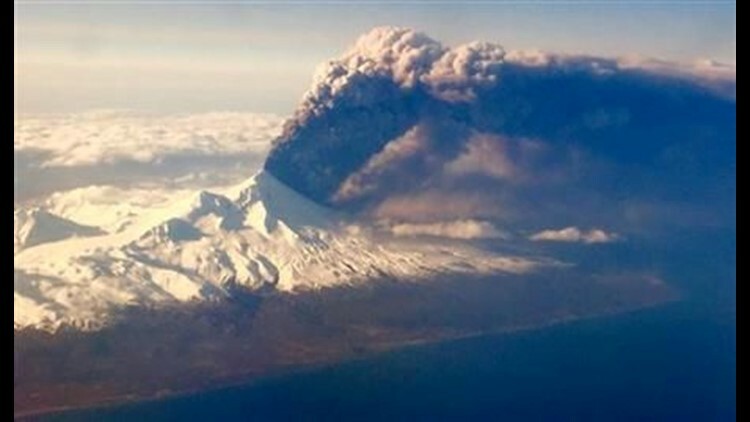 Strong winds Monday pushed an ash cloud from an Alaska volcano into the heart of the state, grounding flights and limiting travel to western and northern communities off the road system. Alaska Airlines on Monday afternoon said it cancelled 41 flights affecting about 3,300 customers heading to Fairbanks, Bethel, Kotzebue, Nome, Barrow and Deadhorse. The airline said it will resume its 54 regularly scheduled flights on Tuesday if conditions improve. "We just simply will not fly when ash is present," Alaska Airlines spokeswoman Bobbie Egan said.